Airopaidia: containing the narrative of a balloon excursion from Chester, the eighth of September, 1785, taken from minutes made during the voyage, by Thomas Baldwin; 1786; Chester. Thomas Baldwin’s Airopaidia (1786) is a remarkable insight into the early days of ballooning. Coming in at almost 400 pages the book is a wonderfully detailed account of Baldwin’s one day in the air over Chester in 1785. Uniquely in this period, Baldwin attempts to describe his experience not only verbally but using images: three expensively produced plates depicting the view from the balloon, the balloon in the view, and the charted passage of the balloon over the landscape (see images below). 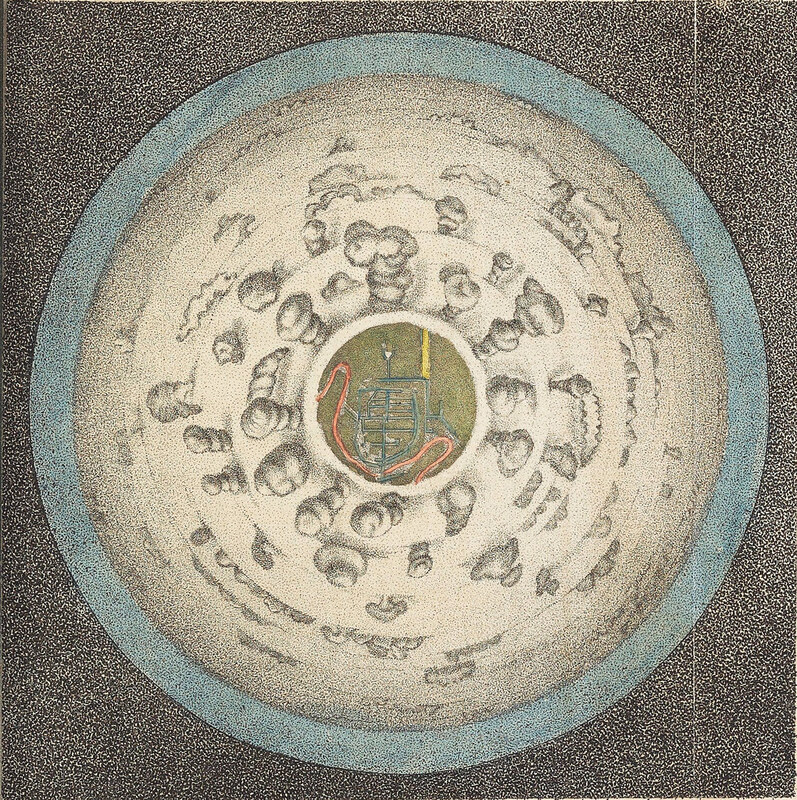 Together these illustrative plates can be seen as the first ever “real” overhead aerial views. 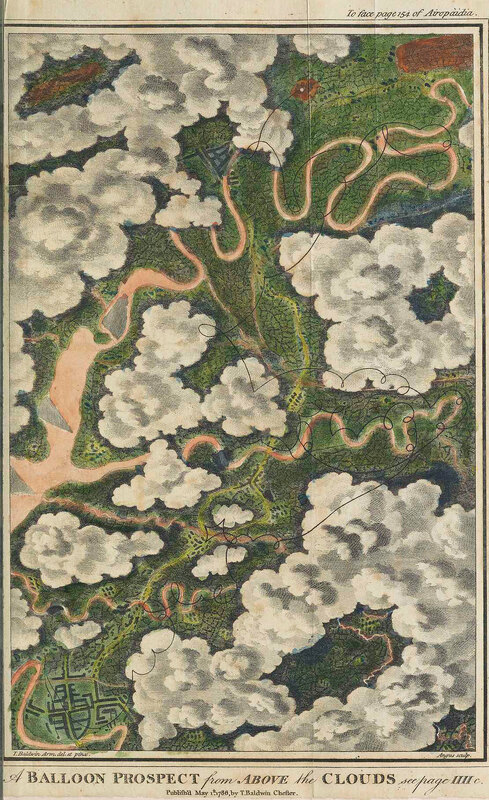 Learn more about the book and the importance of the unique images it contains in Lily Ford’s essay “‘For the Sake of the Prospect’: Experiencing the World from Above in the Late 18th Century”. We also highly recommend checking out Richard Holmes’ excellent book on early ballooning Falling Upwards: How we Took to the Air (2014).